Both units display new self-explanatory graphic symbols that provide clear images to make use easy and intuitive. 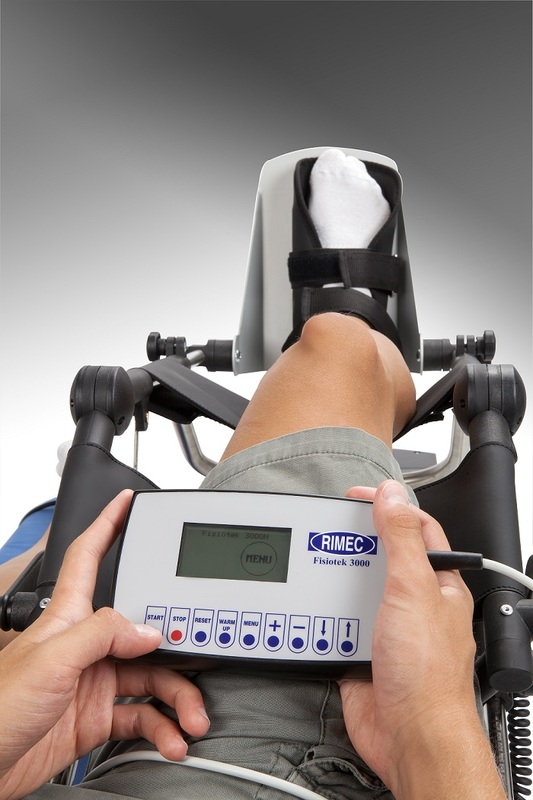 The programmable features make it possible to meet different rehabilitation needs through means of customised and therefore more effective control. Hand-held programmable keypad: the hand-held programmable keypad has been designed to empower the patient to actively participate in rehabilitation therapy (when possible). The keypad unit contains all the programming keys for the device, as well as START & STOP buttons for movement control. Control console: the control console is used to program the functions of the Fisiotek device. The information display provides extremely sharp graphic symbol images that are clear and easy to understand to make use intuitive. 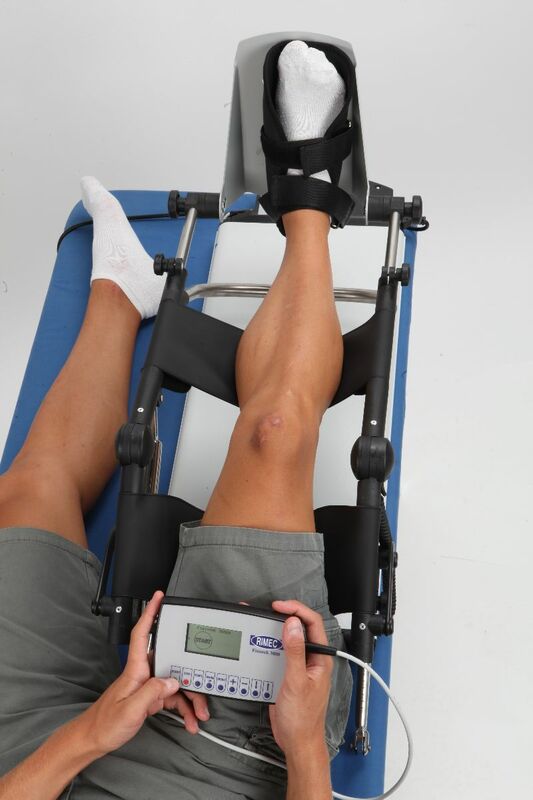 Remote-controlled START & STOP: the patient can use the Start & Stop buttons to fully control movement of the device. Foot support: the foot support can be adjusted to allow more comfortable positioning of the patient’s ankle. 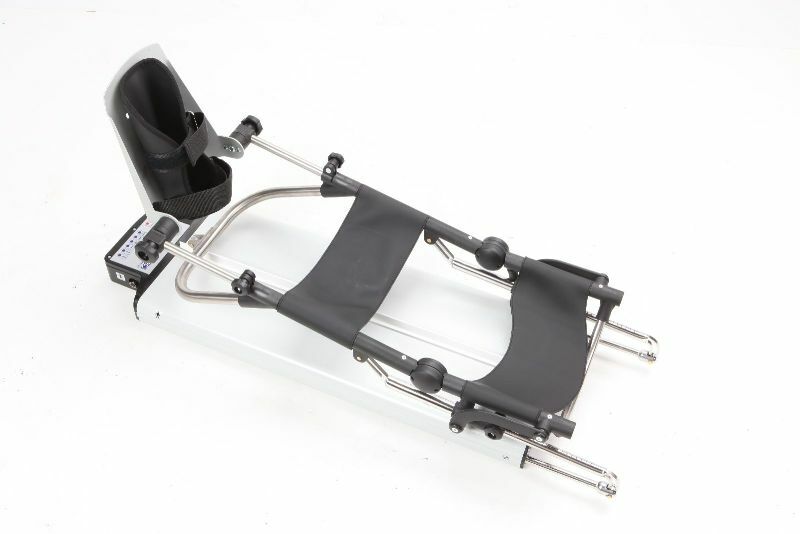 Fisiotek 3000 is intended for use in rehabilitation to restore joint movement in both surgically and non-surgically treated medical conditions. 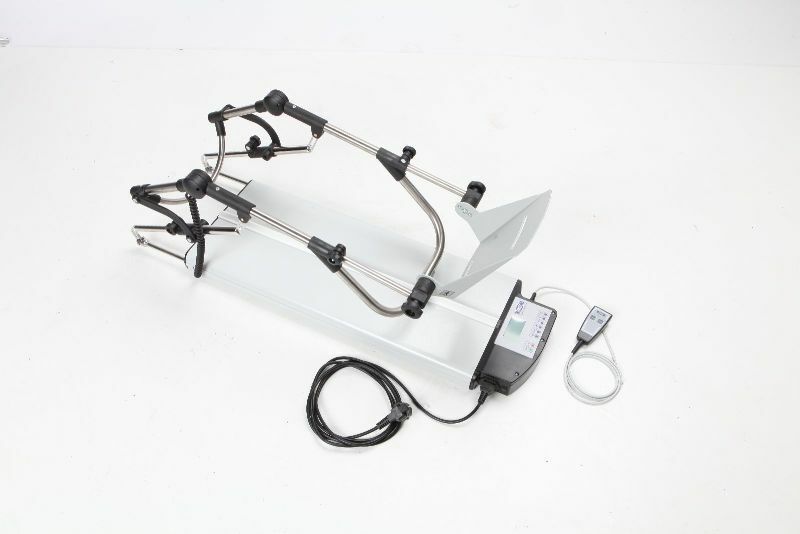 It is therefore suitable for the needs of a considerable range of patients. Its internal software has new programmable features that are useful and easy to use to customise therapy and promote the comfortable, gradual and effective recovery of joint mobility. The line’s design makes use of high quality materials, such as aluminium and stainless steel to ensure greater dependability over time. The models’ linear frame and harmonic structure are pleasing to the patient and instil confidence. 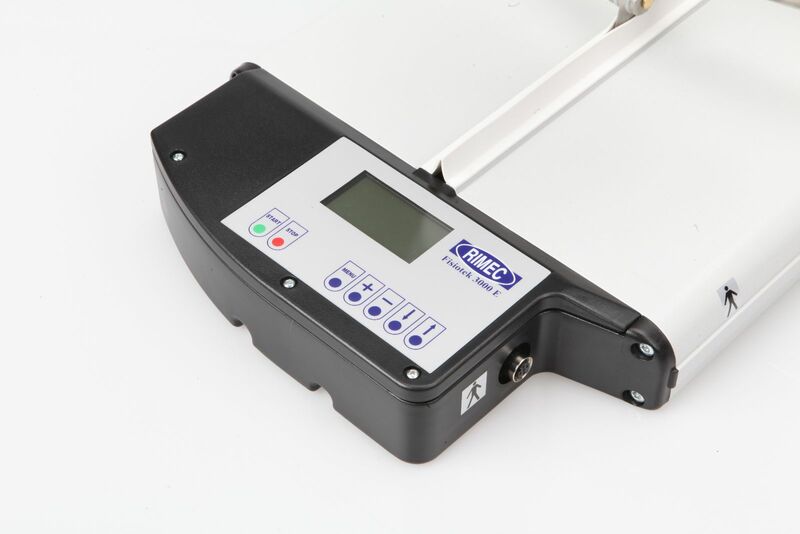 The remote-control START & STOP functions and hand-held programmable keypad (optional) offer two ways to control the movement of the device: these two handsets are interchangeable and use the same connector. Each model of the 3000 line is equipped with a Warm Up feature that can be used to warm the joint before therapy actually begins. Strictly necessary cookies will be enabled at any time so that we can save your preferences. Purpose: It stores the status of the user’s cookie consent for the current domain. Purpose: It is used to check if the web browser is set to allow or decline cookies. Scopo: It identifies the PHP session in progress while visiting the site.